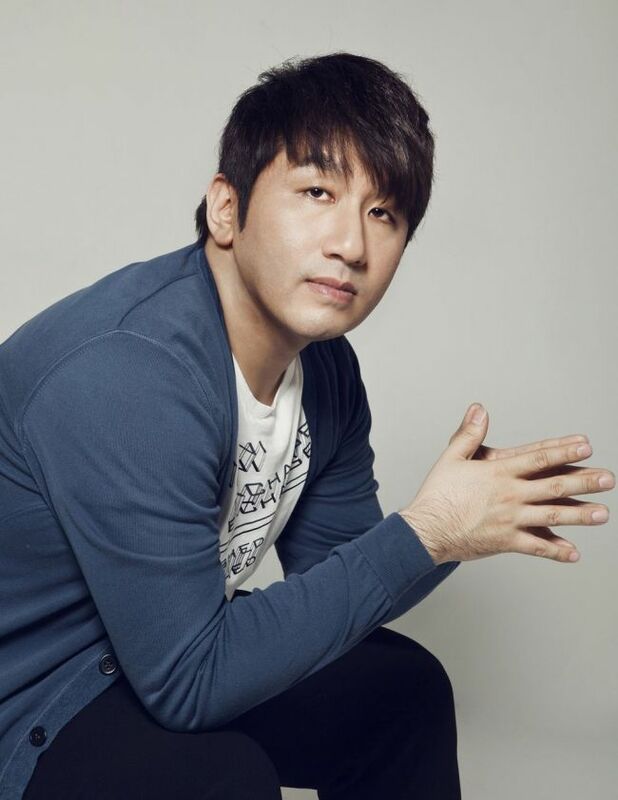 Producer-CEO Bang Si-hyuk of Big Hit Entertainment, the label of K-pop boy band BTS, is to receive a Presidential Citation for his contribution to cultural exchange, the Korea Creative Content Agency announced Monday. Bang is being recognized for spreading Korean culture through BTS, who became the first Korean artist to rank 7th in the Billboard top 200 and win top social artist at the Billboard Music Awards earlier this year. 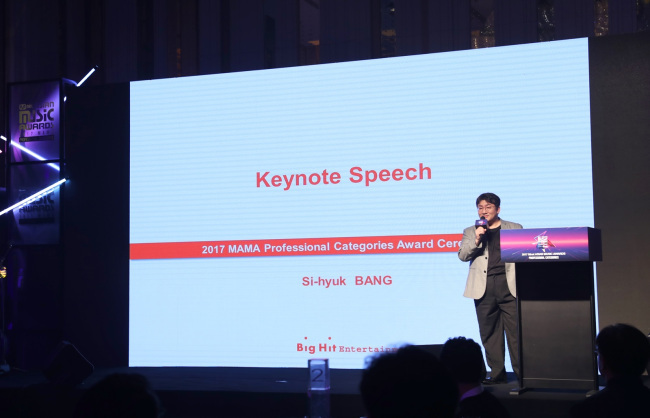 Bang is being recognized as part of the 2017 Korean Content Awards. The award ceremony takes place Tuesday at Coex, Seoul. Kim Dae-il, the chairman of video game developer Pearl Abyss, is also receiving a Presidential Citation for contributing to exports. The company created the online game Black Desert, which became a hit around the world. Content company CJ E&M’s Kang Dong-han and Han Mi of publishing company Daekyo are receiving Prime Minister’s Citations for their contribution to exporting Korean content. In the broadcasting and video industry category, Ahn Je-hyun, CEO of Samhwa Networks, is receiving a Presidential Citation for creating the 2016 show “Romantic Doctor, Teacher Kim,” a medical drama that is seen to have offered a critique on Korea’s social issues and emphasized the value of human life. Producer Lee Dong-hee of JTBC, who helms the current events talk show “Ssulzun,” is also receiving a Presidential Citation for combining social affairs and entertainment and increasing public awareness of political issues through his program. Freelance drama writer Park Jae-beom, who penned the drama series “Manager Kim,” and KBS producer Lee Ho-kyung, who helmed the KBS special series “Knowledge,” which draws on the last days of a terminally ill patient, are receiving Prime Minister’s Citations.